The Duggar kids aren’t allowed to access any social media until they are engaged. Jana already broke the family tradition of having an Instagram without being engaged earlier this month. The star within a weeks time has over 200k followers on her account! 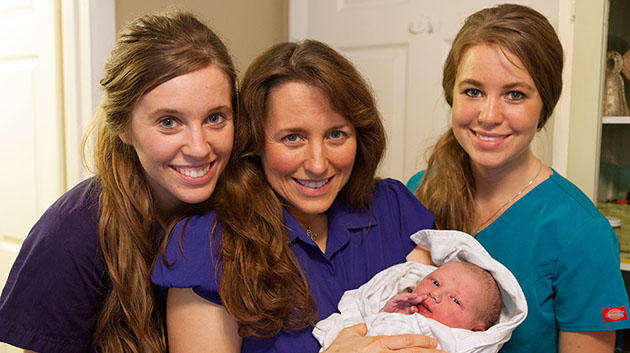 Duggar is a big family with so many siblings and in these siblings, each one tends to find their best friend. Jill and Jana share a great bond and are always super supportive of each other. So, who are the two sisters which have given birth to the rivalry? Let’s find out! Jill Duggar Dillard has been on Instagram for quite a while now and has a blog (www.dillardfamily.com) where she constantly keeps sharing her recipes. She and her husband have this blog since 2014. Round of applause for her! Being so new on Instagram and being her first recipe on social media, Jana got a great response from her followers. Fans loved Jana’s first cooking post. “Looks great and so easy. Thanks for sharing”, wrote one fan. “I made this tonight and it’s so easy and delicious!! … Thanks Jana for sharing this! !” said another. Doing something same and getting a different response for it is a tricky thing especially between siblings. But do you think such a petty thing could get Jana and Jill to fight? or will Jill be happy for Jana and the great response she is getting?